When the Texas Shouts were reprinted in the late 90s Tex Wyndham decided against reprinting Texas Shout #36 and added the following explanation. I would like to add that if you really want to read it you can buy the book where it is reprinted in full. The lack of need to reprint this column serves as a reminder of why it is important to support the small periodicals covering your areas of interest. 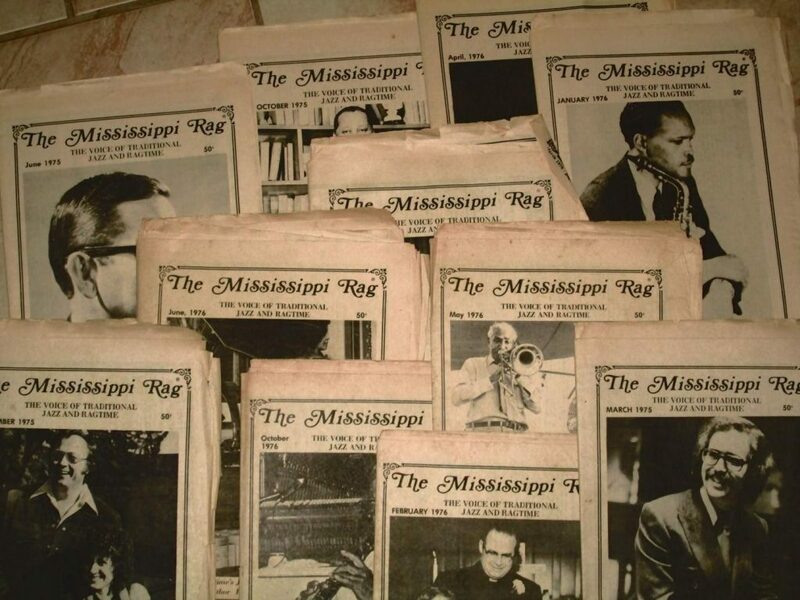 As I write, the two largest-circulation independent U.S. periodicals dealing with older-style jazz are The American Rag (now The Syncopated Times) and The Mississippi Rag (no longer printed). Although they have many of the same ads and listings for upcoming events, they have very little overlap in textual coverage. I recommend both.